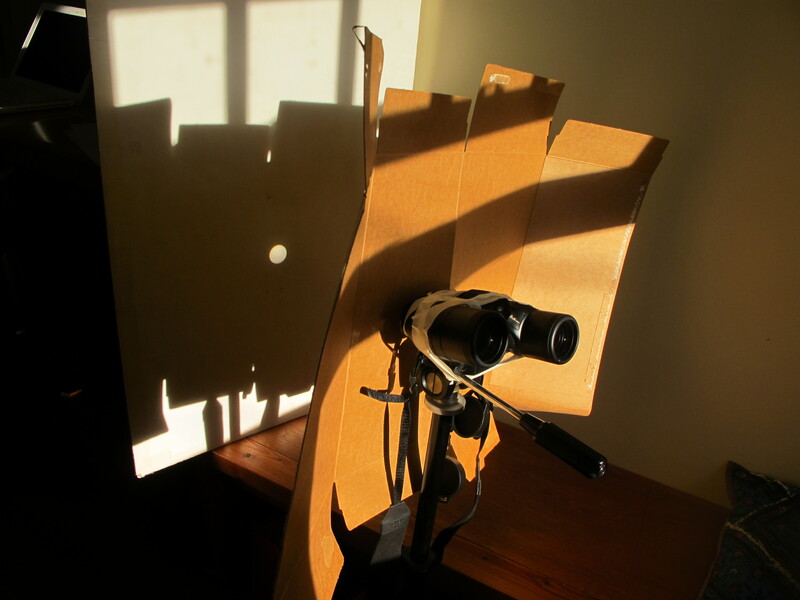 Use a pair of binoculars to project an image of the sun, resolving large sunspots, on a white poster board. Set up the binoculars as in the first image, with once eyepiece poking through the cereal box. Stand them on the tripod about 1m away from the board. Adjust the angle of the binoculars so that the sun's image is projected on the board, then focus so that it is clear. 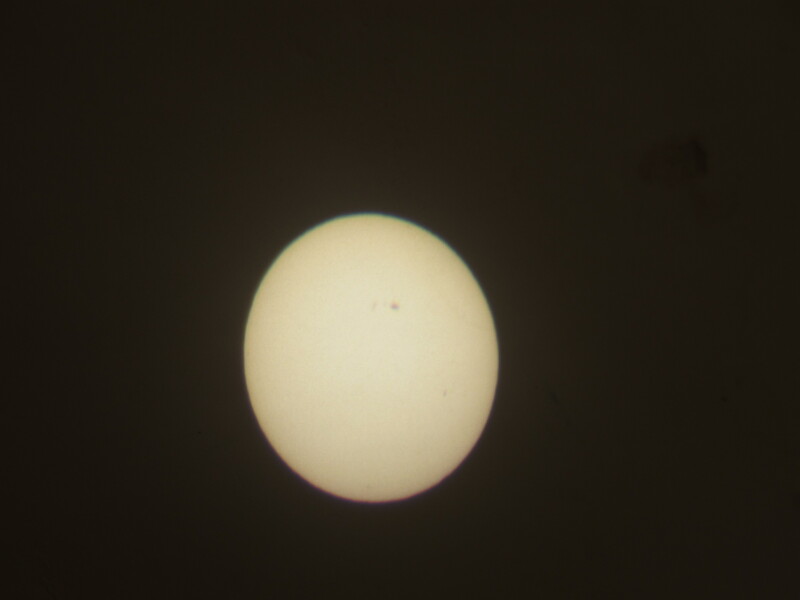 If you are lucky you will see dark spots on the face of the sun. Check http://www.tesis.lebedev.ru/en/active_areas.html to find out what you should be looking for. Sunspots are caused by strong magnetic fields that block heat coming from the inside of the sun, which allows the region above to cool (to 3700°C). They have a darker core, "umbra", surrounded by a lighter "penumbra" and are often larger than the Earth. They move across the surface of the visible side of the sun as the sun rotates (about once every 2 weeks/month?). By the time that area of the sun has come around again, the sunspot activity has changed. The sun cycles through periods of low and high sunspot activity. We are in cycle 24, heading towards a low in 2020, before activity increases again.